Cecil Mann Obituary - Newport, Arkansas | Jackson's Funeral Homes Inc.
Mr. Cecil Monroe Mann, 78, of Floral passed away, Wednesday, January 2, 2019. He was born June 23, 1940 in Amagon, Arkansas, to the late Ernest and Mamie Mann. Cecil attended and graduated from Beedeville High School. He grew up on his parent’s farm, and spent many happy years there creating precious memories with his brothers and sisters. 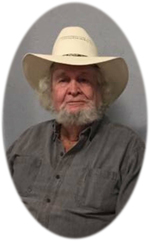 Cecil was an avid hunter and fisherman, who loved country living. He enjoyed music and was a self-taught guitar and French harp player, often known to play both at the same time. He enjoyed life and spending time with his family. His quick wit, knack for telling a story, and sense of humor were his trademarks. Along with his parents, Cecil was preceded in death by a son, David Glenn Mann; and two brothers, Bobby and Wayne. He is survived by one son, Kenneth Mann and one daughter, Kimberlee Mann, both of Searcy, Arkansas; two grandchildren, Kenny Lee Mann and Caden Ramsay; three brothers, Neal Mann and wife, Lola, of Newport, Jody Mann and wife, Esther, of Remmel, and Jimmy Mann and wife, Pearl, of Beedeville. Also surviving Cecil are three sisters, Maxine Miller and husband, Hershel of Newport, Judy Carlisle and husband, Woody, of Heber Springs, Brenda Martin and husband, Woody, of Cherry Valley, and Marlene McWilliams of Arizona; special friends and caretakers, Deon and Carola Ramsey of Floral; a host of nieces and nephews; and a lifetime of friends. Cecil was also blessed in this life to have a best friend and caretaker, whom he cherished. Friends may visit at the funeral home Friday, beginning at 12:30. Funeral services will follow at Jackson’s Newport Funeral Home Chapel at 2:00 p.m. Friday. Interment will be at Balch-Johnston Cemetery. Those honored to serve as pallbearers are Dale Miller, Bobby Mann, Dennis Mann, Roger Miller, Ronnie Mann, Cody Mann, Shawn Mann, and Michael Mann. Honorary pallbearers are his brothers and sisters, as well as, Danny Polston, Gary Grady, and Deedry Simmons.